Tonight is the long awaited night: the two powerful welterweights Nate Diaz and Conor McGregor will go at it for the second time in a fierce battle to prove the stronger welterweight once and for all at UFC 202. While Nate Diaz won the last bout and proved himself a much more patient and strategic fighter in their first bout, Conor McGregor seems to have honed his focus and sought more patience in this fight. What, then, has he sought in his training? Conor Mcgregor continually hones his striking. Both his fists and feet are fierce weapons in the ring, both thus far unmatched in the 145 weight class. But he has focused on training that truly boosts his mobility in the ring, training with complex and bouncy animal movements and different movement chains that engage the tendons and ligaments, boost proprioception, and aid the utilization of full body power in fight situations. Here is a video of some of the movement training that McGregor did with Ido Portal as he trained for his last fight. I’d say more people understand how important body movement is for overall health and functionality. Are you one of them? If so, watch this video and try out some of the movements for yourself. I truly believe that you’ll discover patterns and freedom of movement that will get your body singing. And tonight, may the best man win! Today we have a special video from our friends the Tapp Brothers. They went ahead and put together a set of tips specifically for you guys here at LAOHB. Go ahead and take a look at the video below! If you want to learn the 5 components to build your athletic base, check out the Tapp Brothers’ new program Rapid Primal Fitness! The Pull Up. Its a staple bodyweight movement that, much like the pushup alludes many. Some People don’t have enough core stability to follow through the motion, while others are stuck at the beginning phase with the scapular activation. Luckily the Tapp Brothers have a 4 stage plan that you can follow to reach your first pull up! Watch the video below to get a full breakdown of the process! If you want to learn how to train your body to do more than just the pull ups, the Tapp Brothers have tons of great information to give in their new program Rapid Primal Fitness! In today’s installment of Ask the Tapps, Jonathan Tapp goes over 2 tricks that you can use to increase your muscle size and strength. 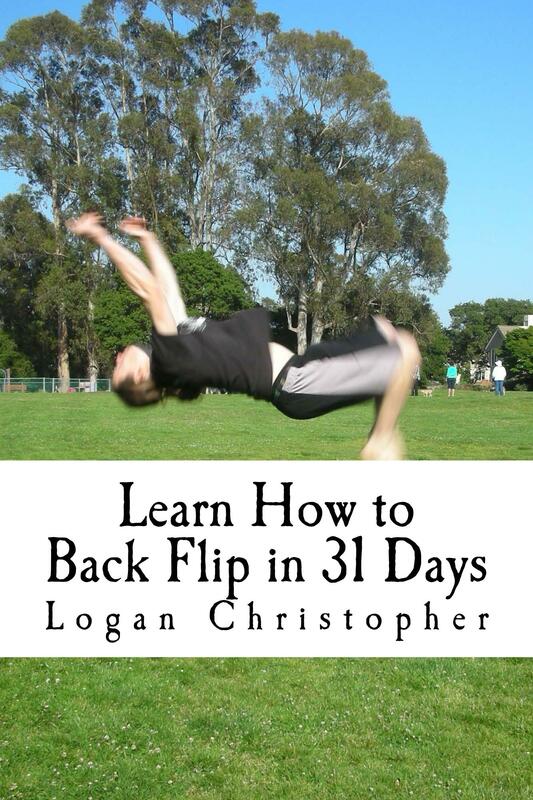 Whats excellent about this tutorial is that its geared toward the bodyweight enthusiast. Jonathan goes over these tricks in much more detail in the video below! 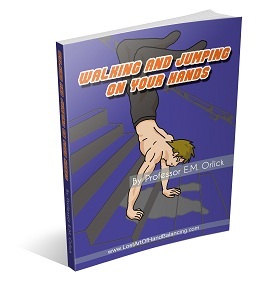 Download your FREE Eccentric Bodyweight workout here! The Tapp Brothers have more great information to give in their new program Rapid Primal Fitness! I hope that everyone enjoyed the last installment from the Tapp Brothers. Did you guys make a choice on which direction you’re headed towards. Either way, your going to have to zero in on how you’re going to go about that training. In this video The dynamic duo while give you more insight by helping you figure out what the frequency of training should be for you! Just to let you know. There aren’t going to be any snapshots in this post because, there isn’t much to show visually. But take a second to listen to the knowledge that’s about to be dropped! Few Key Points to pay attention to! Watch the video below to increase your training knowledge! And just in case you loved the information from this video and want to learn how to be in shape and move like the Tapp Brothers, check out their new program Rapid Primal Fitness! Coach Jon here. Every now and then we’ll receive an email about what you have been able to do while utilizing our programs. Needless to say, we love hearing from you and want to know how your progress is going! We might even give a pointer or two. This week we got an email from Matt telling us a bit about his journey! While I haven’t managed a free standing handstand it has really helped me improve my base skills and build the foundations. Also managed finger tip crow pose and 4 finger no thumb Plank, thumb and two finger plank and 2 finger headstands. Great stuff especially being free, I also have hand balancing made easy and have had a lot of fun with that and it’s sped up progress where coming from the wall I managed a 10 second handstand. Also the the headstand stuff is great I’ve always had alot fun doing headstand and it was nice to have a bunch of new variations to learn. 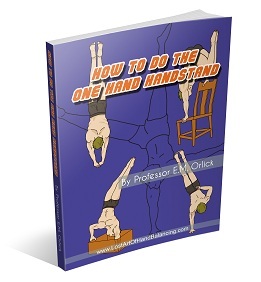 If you like what you hear and want to check out one of our programs, why not start out with the Hand Balancing Made Easy eBook that Matt was talking about above! Click here to have a look.